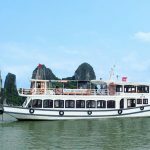 Get on aboard cruising around this magnificent Halong Bay and among thousands islands that jut out of the sea with its spectacular natural environment, would be a great experience traveling to Halong bay. Visiting the floating village, grottoes and enjoy the sumptuous seafood lunch. 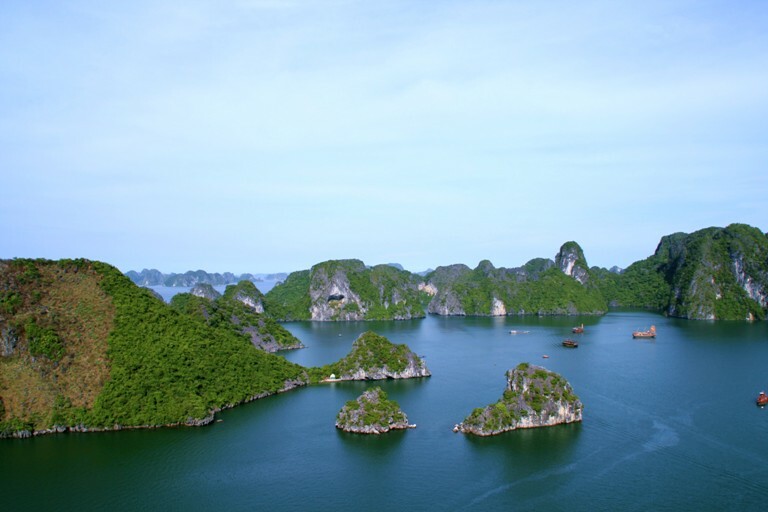 8.00 depart from your hotel in Hanoi for the journey East of Hanoi (approximately 3,5 hours) to Halong City, the gateway to Halong Bay. En route you will pass fields of busy workers farming their rice fields using traditional methods of cultivation. 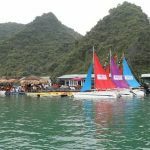 Upon arrival, board a traditional junk and set sail around this magnificent bay and among thousands islands that jut out of the sea with its spectacular natural environment while lunch is served with traditional Vietnamese dishes and seafood. 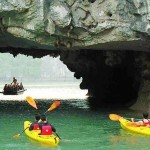 On this four-hour cruise we will visit to Dong Thien Cung (Heaven Grotto), located on a remote island in the bay. As the name suggests, the cave adorned with fantastic stalactites and stalagmites. Colored lights transform the scene into a fairytale palace. Then sailing past some of the bay’s most iconic locations, including Thumb Island, Incense Island and Ba Hang floating village. 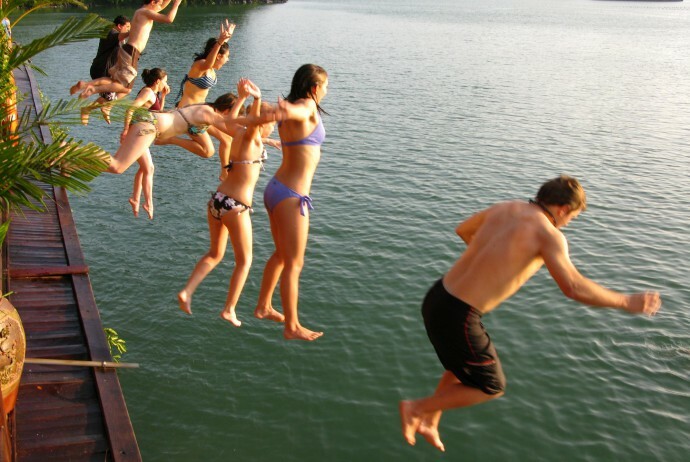 The rest of your time on the junk’s sun deck, we then continue cruising to the southern part of the Bay, where we will admire view of many strange-shaped islands, visit floating village of the local fishermen, have a swim or do kayaking to further remote area of the bay. Continue sailing back to Tuan Chau marina, get on car and return to Hanoi. Tour ends at your hotel around 19.30. 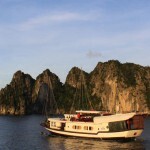 Copyright © 2019 Halong Day Trip by HVG Travel.